As a member of our investor’s network, you can take part of this event, meet our startups and hear what they have to say. On March 27th they will pitch their business solutions and ideas to you. 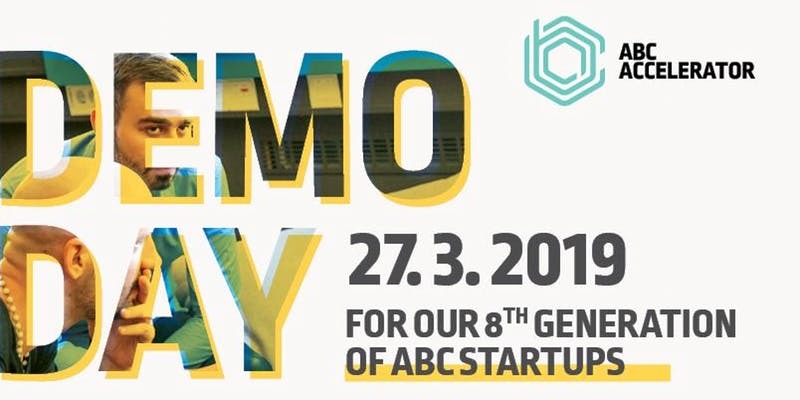 After the startup presentations, the event will move to the ABC offices where there will be food and drinks. An email confirmation from ABC’s Grega Potokar (grega@abc-accelerator.com) is needed to confirm the ticket.